Viewing methods include streaming videos and downloads, including downloads that can be burned into an DVD. DVD covers are available if a DVD is burned, and can be printed in a windows machine by saving as jpeg into My Photos, then Photo Wizard. Size to full page, cropped to fit. I try to link to review threads at the forums of fan film websites. However, it appears to read the forums at Starship Farragut, one has to join. Therefore, I leave it to readers to go to the website and find the review threads if they are so inclined. 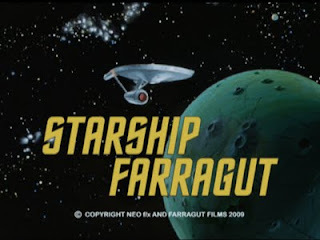 Also: http://neo-fx.com/starshipfarragut/dvdrequest.php for the 'official' ISO files and a variety of other files! Captain Carter commands the Starship Farragut. Convincing casting, with a crew that's attractive, without making every female a young knockout. Better than most of the professional shows. The use of New Voyagers aka Phase II's sets add a lot to this show. Throw out a 'Thank you' to James Cawley... again. Some people have confused the fact that Captain Carter is not the ideal commanding officer with bad acting. I don't understand this show that way. Carter is just a bit more like your real boss and less like the boss you wish you had than most Starfleet Captains. That's not bad acting, that's good characterization. Excellent acting, casting, cgi, writing, sets. This is a well planned and well executed show. The special effects are superior to TOS, but then, most people today have more computing power on their desks than NASA had in their whole operation when they sent Apollo 11 to the moon. The bottom line is, though, they make it count. They make the creation of an entire Klingon language by fandom count. They use it all with grace, and to good effect. Even the camera work is excellent. There are inventive shots giving you perspective more akin to movie than TV work. Beautiful shots of the earth-like (Class M) planet. Nicely done, a bit more water:land ratio than earth. A neat Sci-Fi idea is explored. The effects of a visual shield on the area hidden is shown with a color shift. However the primary focus is on getting to know the crew. Acting is off the charts. Editing is perfect. The addition of Cawley's Kirk and Enterprise just adds another tweak to a great show. I loved this. Another work that is so good you can't believe they aren't stopping for commercials. Well, you can, because TV shows have to be put together in a week, and this is clearly thought out better than that. On a peaceful mission, two technologies interact, with destructive results. America is full of people whose idea of a good time is reinacting something. 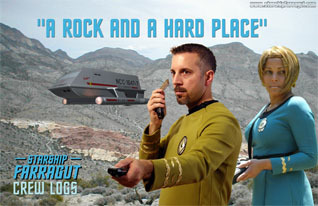 For Trekkies, it's variations on their favorite TV show. For others, it's often history. The crew takes good advantage of the near-cult status of reinactment groups in this episode. Captain Carter, overruling the objections of Commander Smithfield, and Dr. Bishop, and old flame from his days as a student, go down to a planet not visited in 10 years to collect rocks. 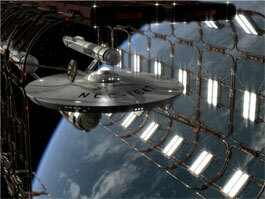 The CGI of the outside and inside of the Farragut shuttlebay and shuttle are fabulous. They spot high concentrations of dilithium, and head from that location. The sky has flashes of lights crossing it as they land in what, otherwise, is a very earth-like planet. They gather dilithium, and record high amounts of other rare minerals in a beautiful woods near a stream. They are being watched by a Klingon, who reports them to his commander. He watches as the day takes a romantic turn. The Klingon tries to sneak up on them, but Carter slips his hand over to his phaser and stuns him first, then destroys the Klingon's phaser gun with a higher phaser setting. When the Klingon won't answer Carter's questions, he guesses that it's a small party. Carter can't contact the ship because his signal is jammed, so he stuns him heavily and he and Dr. Bishop. head for the shuttle. But they are attacked by another Klingon before they get to it. Carter and the Klingon manage to disarm each other, but Dr. Bishop goes after a discarded Phaser which has fallen down a ravine. Carter unsuccessfully thrown the Klingon's knife at him, then runs. The Klingon chases, then throws the knife at Carter, getting him in the back. Carter pretends to be hurt worse than he is, and when the Klingon comes in to retrieve his knife and finish the job, Carter gets the advantage. However, just as the Dr, Bishop, phaser in hand, climbs out of the ravine, the other Klingon arrives and takes the phaser and pushes her back down. He tries to use the phaser on Carter in the fight, but Dr. Bishop hits him with a rock, and she regains the phaser and instead shoots it at Carter's other Klingon, who vaporizes. They make it back to the Shuttle, with Carter acknowledging that Smithfield won't let him live it down. Another Short, "Just Passing Through"
This was released (on You Tube as of April 22, 2011: http://www.youtube.com/watch?v=igUN09bVaNc (11:56)). 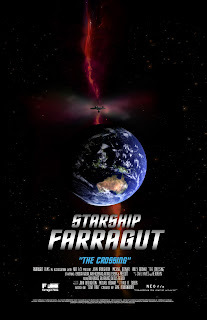 Now available for download, here: http://www.starshipfarragut.com//Crew_Logs/V01_JPT.php is what they claim, in January 2012, is a revised version. Here's a short films showing their progress http://www.youtube.com/watch?v=hqNrboIVL5Y (1:31). Permanent release 03/12/2016: https://www.youtube.com/watch?v=-ZpVMDJrT20 (1:12: 38). Advertized 4/18/2017 as "Coming Soon"
Two animated episodes were produced and released. 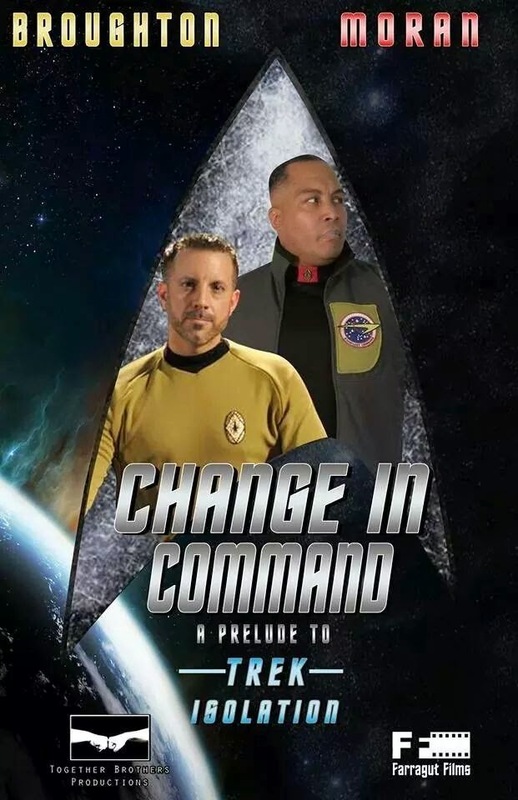 These look a lot like the film produced by Curt Danhauser's Guide to Animated Star Trek, which has it's own TOS animated fan film, discussed in Blog 9. Without giving them a full review, I would say the stories are better than the TAS stories I have seen so far. I am putting off reviewing these until I can watch the entire TAS series. The animated episodes are available with Spanish, Portuguese, English, German with the ISO-DVD download. They are also on the DVDs given out at conventions. Rating: 3 This animated episode starts slow but ends strongly. The animation form makes the meeting scenes very dull, since these scenes are generally carried by acting, and actors are limited to voice here. So they are too long, and while we understand the writers are driving home how close our characters are to the captain of the other vessel, a single line of dialogue would have done the job, it wasn’t needed to repeat it in two scenes. The story takes note of the difficulty of fighting in a situation that your opponent is a friend, which is always a good topic. The writing is interesting, but needed more editing. The medium limits the acting to voice acting, and eliminates the need for sets and special effects. The second half of it is entertaining, and I’m unclear how to evaluate direction in a cartoon. It is lacking in editing in the beginning, but that improves in the end. 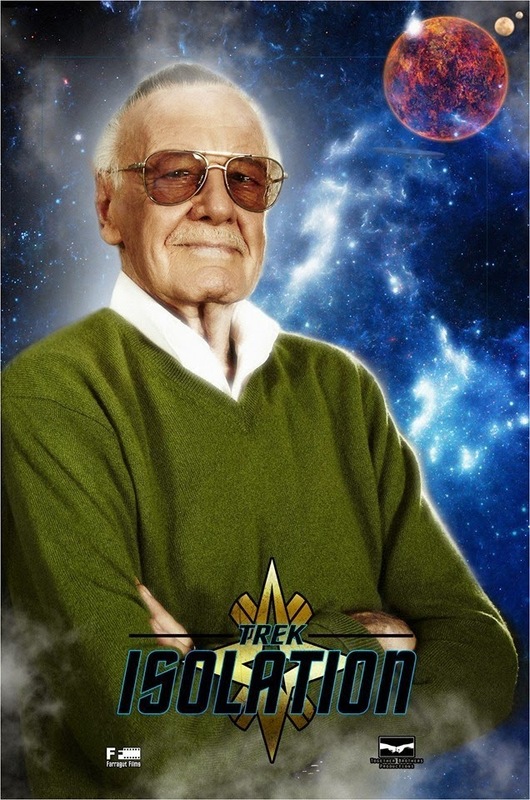 As of March, 2015, they added Stan Lee, the god of the Marvel Universe, the father of Spiderman, The Avengers, and the Fantastic Four, among dozens of other characters, to their cast. 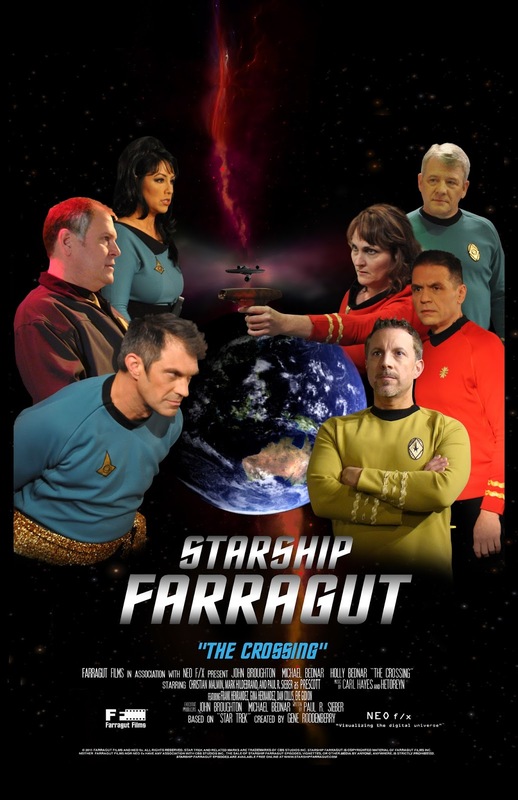 In July of 2016, after the release of the Fan Film Guideline, Farragut Films announced that they would release their final Farragut episode and also release a final episode of Star Trek Isolation. After that, they would produce an entirely original series not based on Star Trek which will be called Dark Isolation. On September 27, 2016, Trek: Isolation released their second (and from prior statements) final film, "Trek Isolation: Out of the Fire," https://www.youtube.com/watch?v=-H-M1mmhyIQ (6:41). 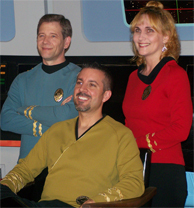 In the works in the fall of 2013, they are working on a series set in the third year of TOS but on a three nacelle exploring type ship, The Dreadnaught Dominon Project. From FilkFerret Productions. 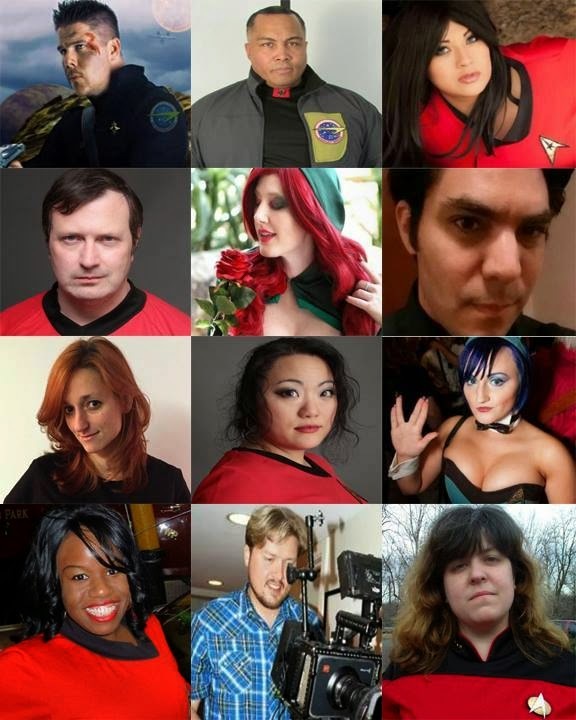 link for subtitles in spanish for many Star Trek Fan film. Note to readers. Michael with NEO f/x is responding to Randy Hall's review of the animated episode, "The Needs of the Many" which was originally published at Star Trek Reviewed because Sci Fi Pulse was temporarily off the web. Michael Bednar(RT)stated sometime past that the character of Jack Carter will be promoted and that Robert Tacket will be transfering to the U.S.S. Constitution in a future episode. Michaela Smithfield will be assuming command of the Farragut. I don't know if this is someone's idea of going the Babylon 5 route(expect the unexpected), or making an error in artistic judgement like NBC and Universal did with SeaQuest DSV in its second season. Personally, I don't think that John Broughton and Michael Bednar are good actors to begin with. 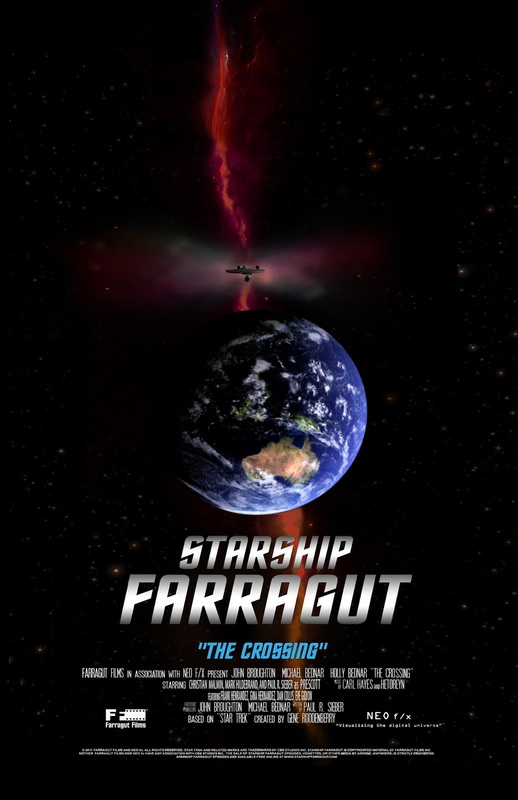 "Either way, it looks like Starship Farragut is about to 'Jump The Shark.'" To the person who wrote this, I have to ask... if you don't like the show and you don't like the acting, why do you watch it? This sounds more like a case of sour grapes than a thoughtful critique of this fan series.